Running a small business based on trends means that some merchandises or products are left neglected, unwanted or, even worse, unnoticed. It is important, as the business owner, that you are able to keep up with the fast-paced demands of consumers in order to keep the whole business afloat. You know what they say: “One day you are in, the next day you are out.” Add to this occurrence the fact that new merchandises come in season after season, so you have to be able to think of a strategy that not only sells the goods, but also makes way for the new ones. One very effective strategy most stores or business owners utilize, especially when they are trends-centered, is to hold a clearance sale for their consumers every now and then. 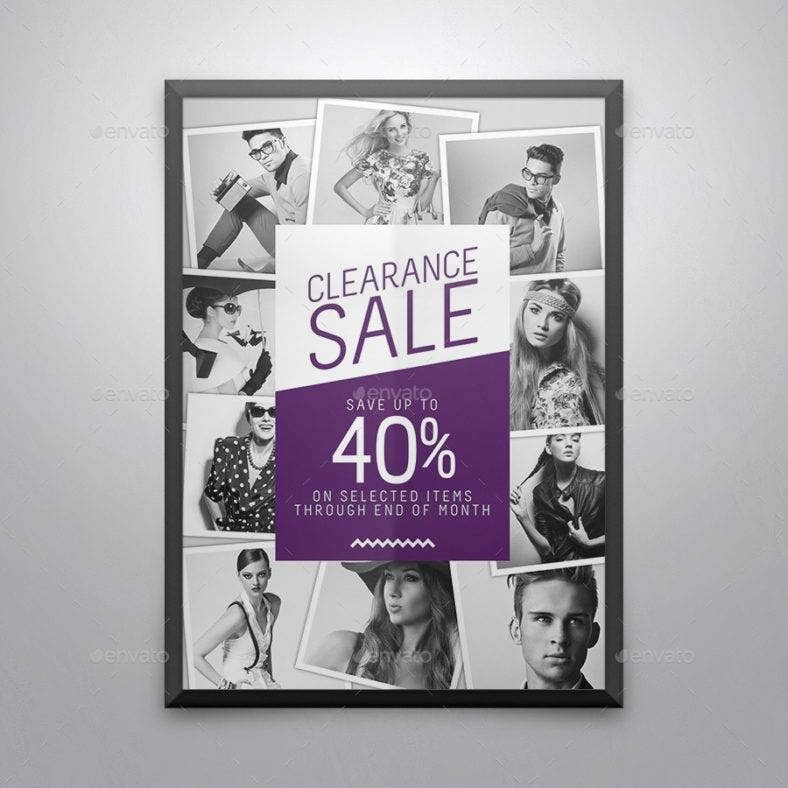 Clearance sales are a promotional strategy that reduces original prices to lower price-points to get rid of the unsold merchandise of the previous season. It is literally trying to ‘clear’ the shelves for new stocks to be displayed. In this way, not only are you getting rid of the merchandise that are unsold, but you are also earning a profit from selling. 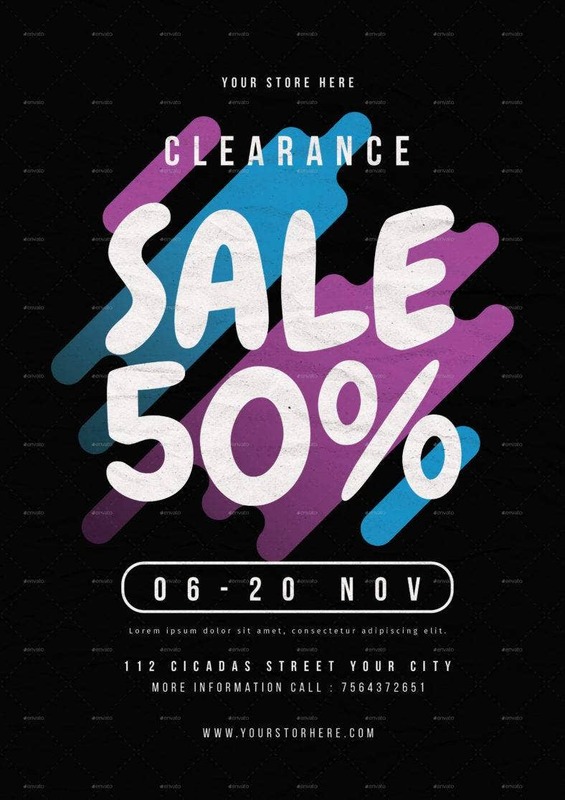 Furthermore, there are actually a lot of ways to tell your consumers, old and new, that you will be having a clearance sale. One of these ways is through promotional flyers that are practical and effective. 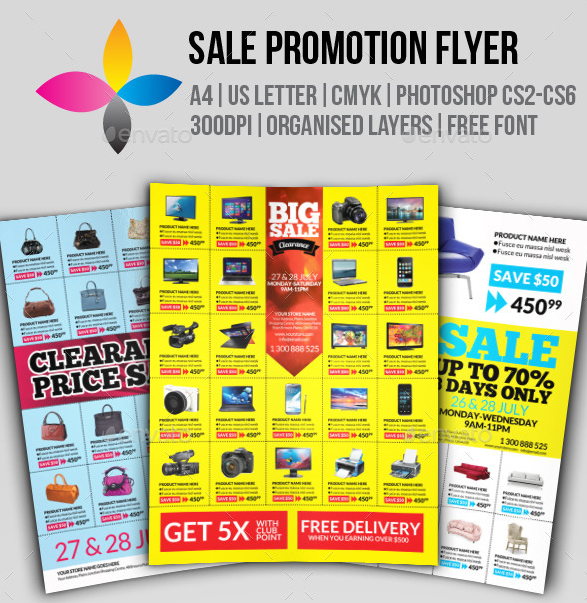 You can easily hand out clearance sale flyers to people to relay the message that you are having a sale in your store. 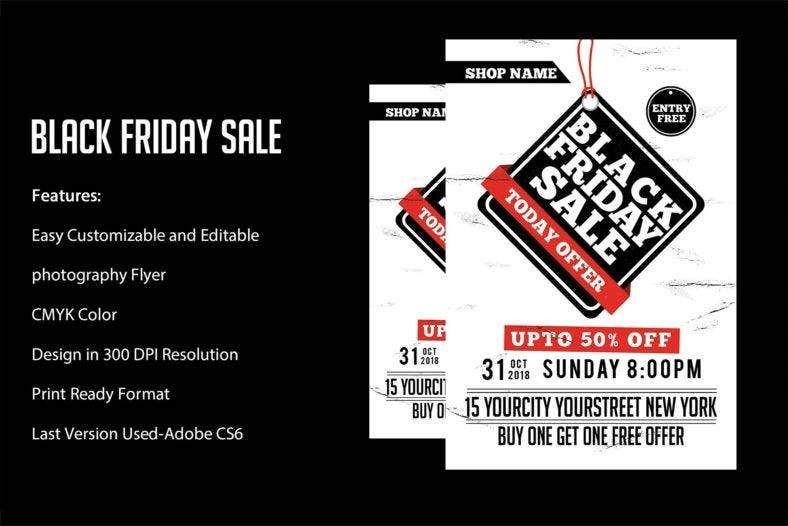 Amidst the creativity of other flyer designs in recent times, these traditional and simple clearance sale flyers can stand alone. The simplistic and age-old design is truly an asset as it strides itself away from the exuberance of modern flyer designs. This could almost pass as a classic for it can transcend itself through time with its almost timeless beauty which generation after generation can still greatly appreciate. 1. Traditional or classic designed flyers enable you to fully put in the necessary information without getting distracted by unnecessary designs which at times create the wrong impression. 2. These specific designs give you the opportunity to showcase a lot of the merchandise that are being marked down in your store. 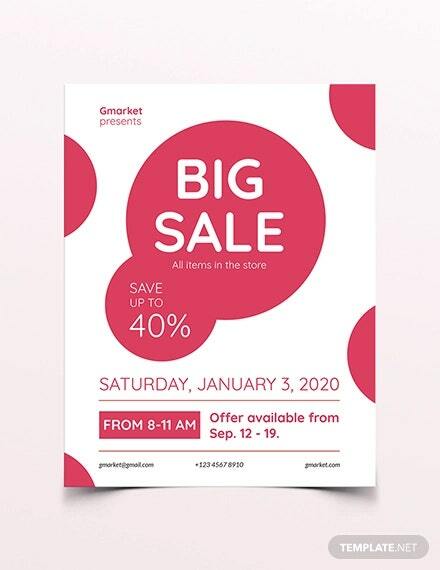 This way, it helps your consumers save time looking for the products that are put on sale as they have a guide with which to go to with your clearance sale flyer. You may also see coming soon flyers. 3. These flyer designs are versatile. Because they are designed in a really simplistic manner, worrying if it will fit the brand of your business or go with the merchandise sold should be less of a concern, as these designs can be used in whatever kind of business with whatever kinds of merchandise sold. You may also like free flyer templates. 4. Traditional or classic designed flyers are not intimidating to look at. They look very welcoming and inviting, giving your consumers encouragement to try to visit your store. Also, these flyers elicit friendliness and an unwavering aura of optimism that can convince your consumers to come back. You may also see for sale flyers. 5. It is in a way nostalgic. This kind of flyer design can transcend through time, which can be an advantage to your brand as it can reach generations and generations of people. This can also help brand your business or store to people, giving them an extension to remember your brand or store. You may also see sales flyers. 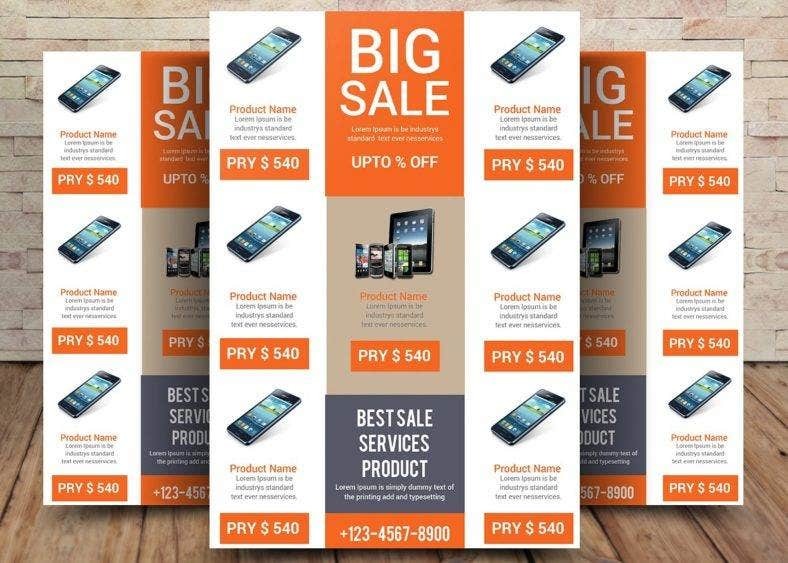 This set of clearance sale flyers offers a more unprecedented, vibrant, and modernistic design for your clearance sale flyers. Each of the design confines to its own creativity, making for unique and different flyers. This type of flyer celebrates the value of being different and the importance of standing out. With a really stiff market bombarded by competitive businesses, it is also important to set your store or business apart from the rest. You do not have to go extreme ways; you just have to think creatively. With these designs, standing out is not just a possibility but a certainty. You may also see bakery flyers. 1. 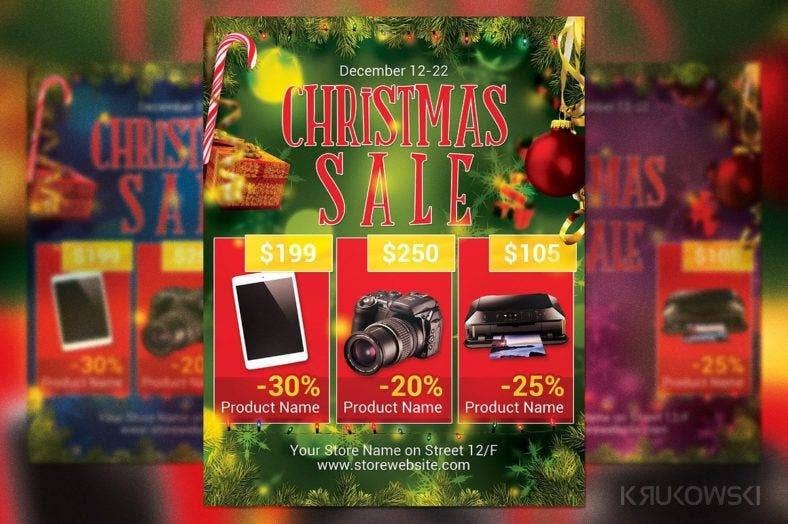 Truly, with its artistic designs, this type of clearance sale flyer will stand out from the rest of the flyer designs that are out on the market. It will surely give your store or brand the attention it needs and deserves from the people. 2. 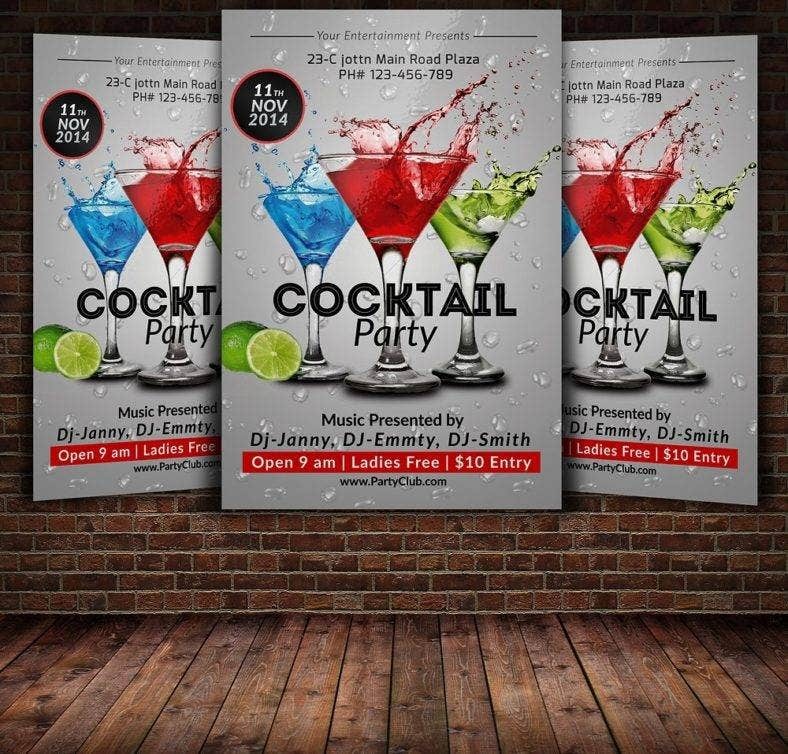 Along with catching your consumer’s attention, this flyer will also create an impression, depending on the designs in your flyer, within your consumers. Customer impressions should never be underestimated as they have the ability to impact the whole business. It can either help your store or business gain or lose profit. You may also see business flyer designs. 3. 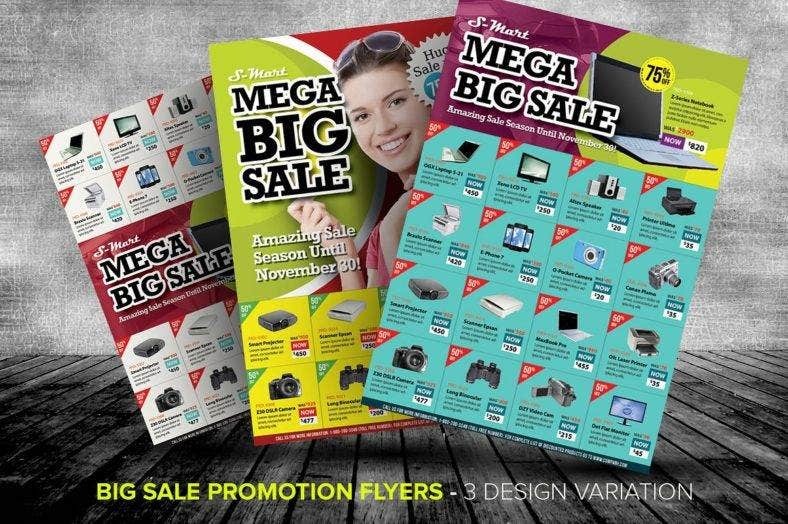 Artistically designed flyers, with the right designs, can make your clearance sale flyer look timely and relevant. Choosing to go for a more artistically designed flyer will surely elicit a feeling of ‘now’ for your brand or store. It also has the ability to make it look ‘cool’ and ‘young’ or perfect for the characteristics this generation so aspires. 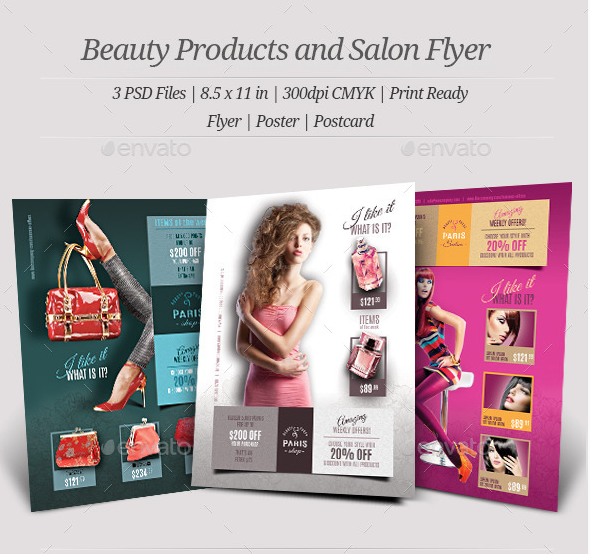 You may also like free flyer templates. In our lifetime, it is inevitable that we celebrate any holiday that comes our way. With that in mind, it is most likely that store or business owners make their promotional mediums as celebratory and as timely as possible. Theme-designed flyers are ideal for letting your promotion coincide with whatever holiday is in parallel you are doing it with. They make everything relatable. They also make the whole vision cohesive to the season. Theme-designed flyers can also add up to the hype of your promotion with an anticipated holiday that everyone looks forward to. You may also see elegant flyer templates. 1. Themed flyers relate your promotion to the season. With that said, it is easier to identify with the holiday you are doing your sales promotion on that, in turn, helps generate more hype for your promotion. 2. They make your flyer look festive and celebratory. 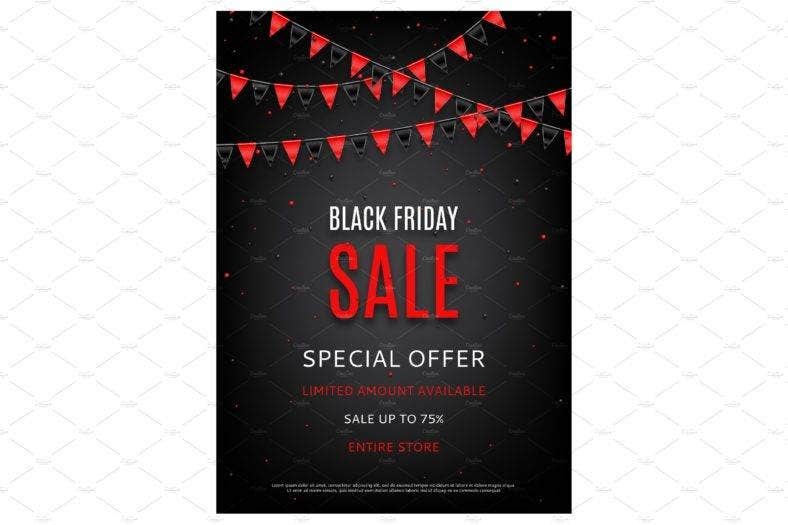 No matter what kind of holiday it is you are coinciding your promotion with, the themed flyers have the innate ability to make it look like you are celebrating the specific holiday. You may also see 3D flyers. 3. And, of course, it pays respect to the special occasion. Directly citing it or not, you are indirectly and non-verbally paying your respects to the holiday (especially when it is a holiday that honors religion) and the people celebrating the holiday. This, in turn, makes your store or business appear socially aware and inclusive of everyone. You may also see free flyer designs. What should be in your clearance sale flyer? 1. Your store or business name. Let the market know who is holding this promotion. Identify yourself, especially when you are a startup business, but also even when you have already established yourself. It is very important that you mention your store or business’ name so your consumers would know where to go to. You may also see abstract flyers. 2. The words ‘clearance sale’. These words serve more than you know, as these two words have the power to get people to go to your store. Put these words on your flyer in bold and vibrant colors. Make these the biggest text so it will be easier for your consumers to read. You may also see A4 flyers. 3. Dates. Put the dates on which you have decided to have your clearance sale. Do not let your consumers guess when the promotion is. If it is two or more days, put the exact dates. 4. The markdown percent. 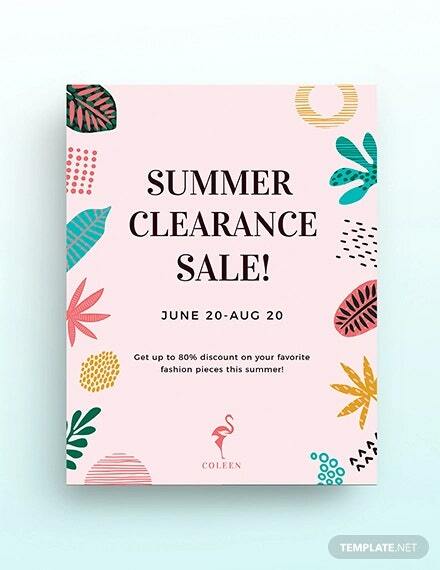 It is really enticing for your consumers if they know the discount amounts you are offering with your clearance sale, so it is highly suggested you put the amount 50%, 60%, 70%, etc. on your clearance sale flyer. You may also like holiday flyer designs. 5. Items on sale. 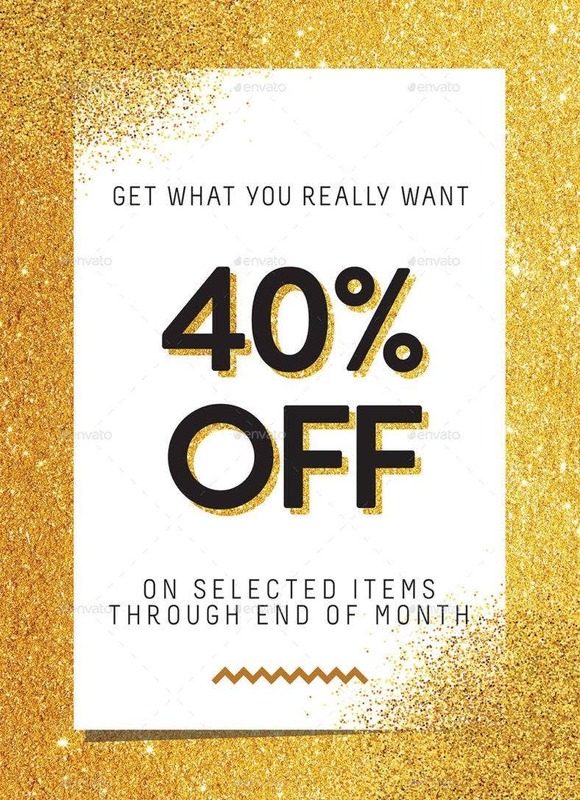 Another really enticing piece of information you should include is what items are being put on sale. Specify and make it clear to your consumers what you are marking down. You can put ‘selected items’ or ‘entire store’ to give your consumers an idea ahead of time. You may also like professional flyer designs. 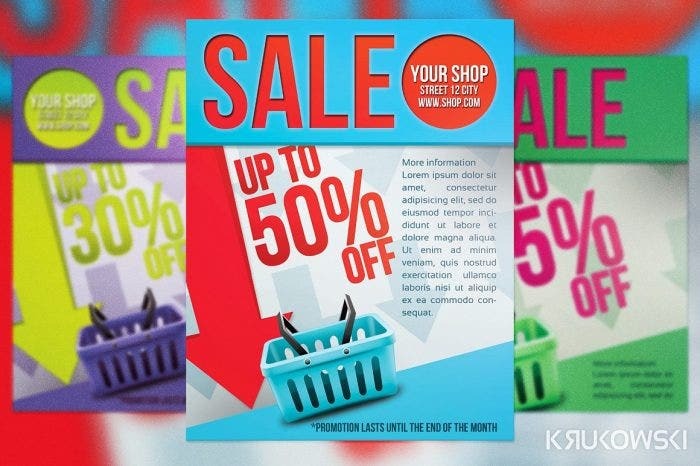 Your clearance sale flyer should both reflect and represent your store or business, and it should be able to convey the idea of your brand. Also, it is okay to have fun and be creative with your flyer’s design for as long as you do not forget to keep it professional. After all, flyers are still part of your business as a promotional medium and not just a piece of paper you randomly hand out to strangers. 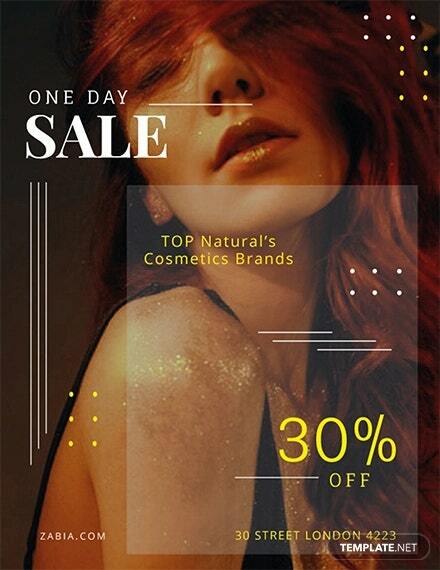 Luckily, all of the premade clearance sale flyer designs and templates in this article exude a sense of fun and creativity, and there are also simplistic designs that could stand the test of time, all while still looking professional. Furthermore, these designs and templates are all customizable and editable. You may also see PSD flyer designs. If you found this article helpful, do not forget to bookmark this page for future reference. And kindly share this with other store or business owners seeking the best-looking clearance sale promo flyers.